Headquartered in Chicago, Exelon has operations and business activities in 47 states, the District of Columbia and Canada. The company is the largest competitive U.S. power generator, with approximately 35,000 megawatts of owned capacity comprising one of the nation’s cleanest and lowest-cost power generation fleets. Its Constellation business unit provides energy products and services to approximately 100,000 business and public sector customers and approximately 1 million residential customers. Exelon’s utilities deliver electricity and natural gas to more than 6.6 million customers in central Maryland (BGE), northern Illinois (ComEd) and southeastern Pennsylvania (PECO). American Electric Power (AEP), headquartered in Columbus, Ohio, is one of the largest electric utilities in the United States, delivering electricity to more than 5 million customers in parts of 11 states. AEP owns nearly 38,000 megawatts of generating capacity and the nation’s largest electricity transmission system, an over 40,000-mile network that includes more 765-kilovolt high efficiency extra-high voltage transmission lines than all other U.S. transmission systems combined. 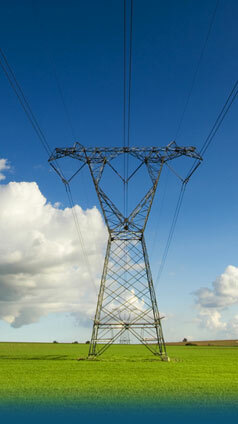 For information about American Electric Power, contact Robert Bradish, Vice President Transmission Grid Development, AEP. For information about Exelon Transmission Company, contact Jeff Yuknis, Chief Operating Officer, Exelon Transmission Company.